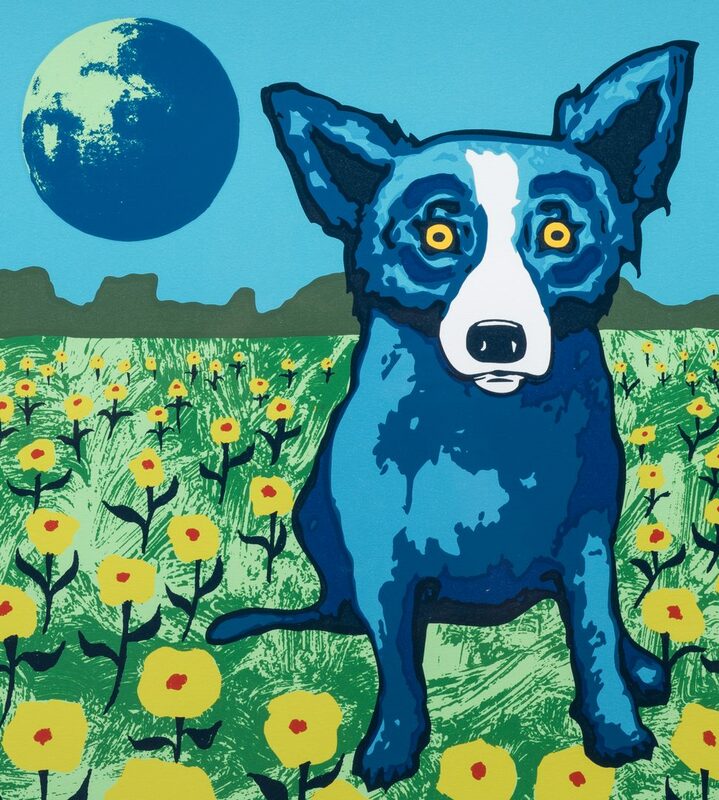 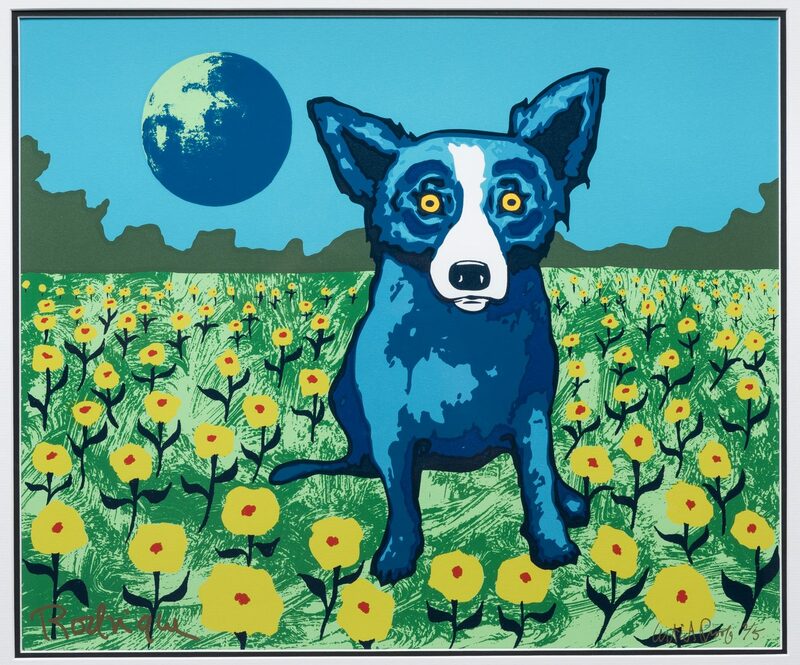 George Rodrigue (American/Louisiana, California, 1944-2013) artist's proof serigraph, depicting Blue Dog seated in a field of yellow flowers at night with the moon in the background. 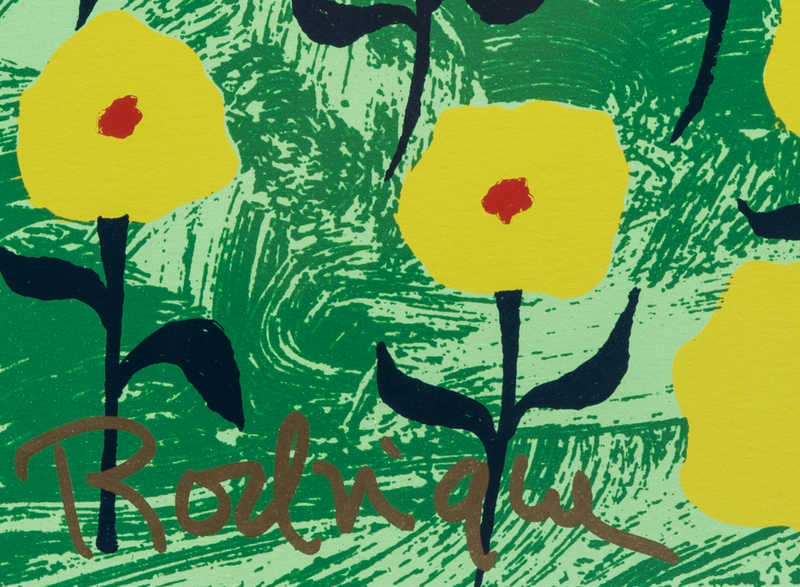 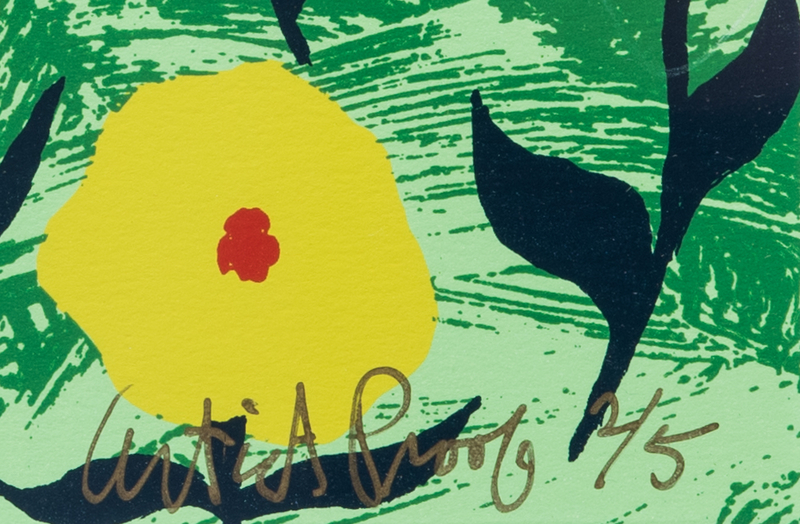 Signed Rodrigue, lower left in gilt pen, and numbered Artist Proof 2/5, lower right in gilt pen. 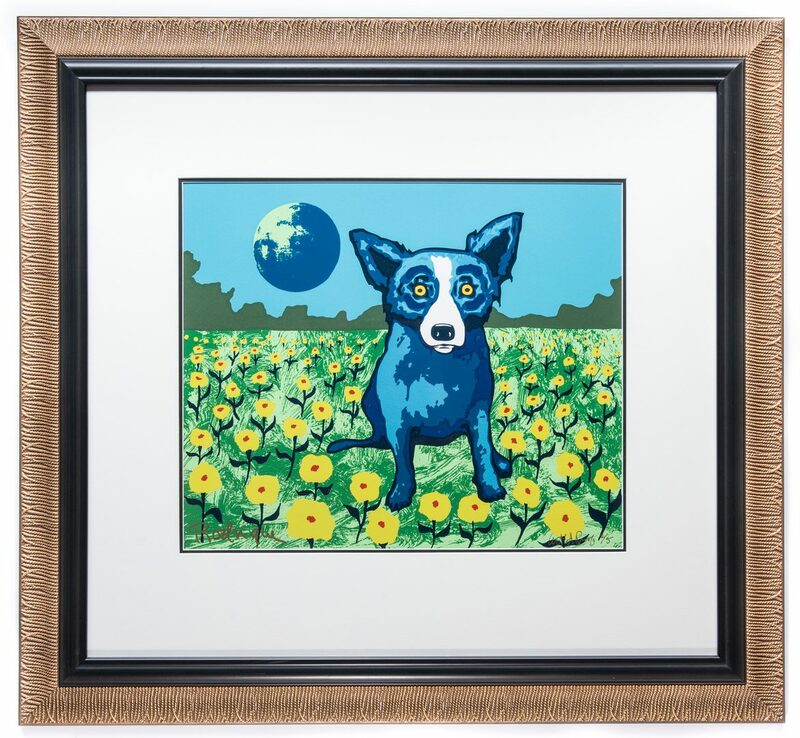 Housed in a contemporary carved gilt frame with black liner. 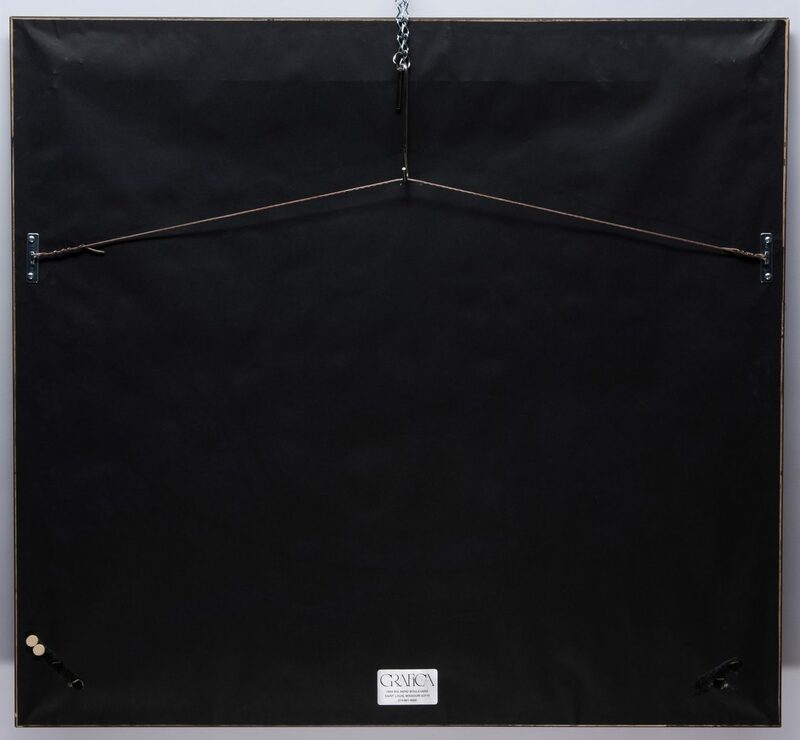 Sight – 15" H x 18" W. Framed – 29 1/2" H x 32" W. CONDITION: Overall excellent condition.